To login to the new Web Help Desk system, you can use 1 of 2 ways (see below). 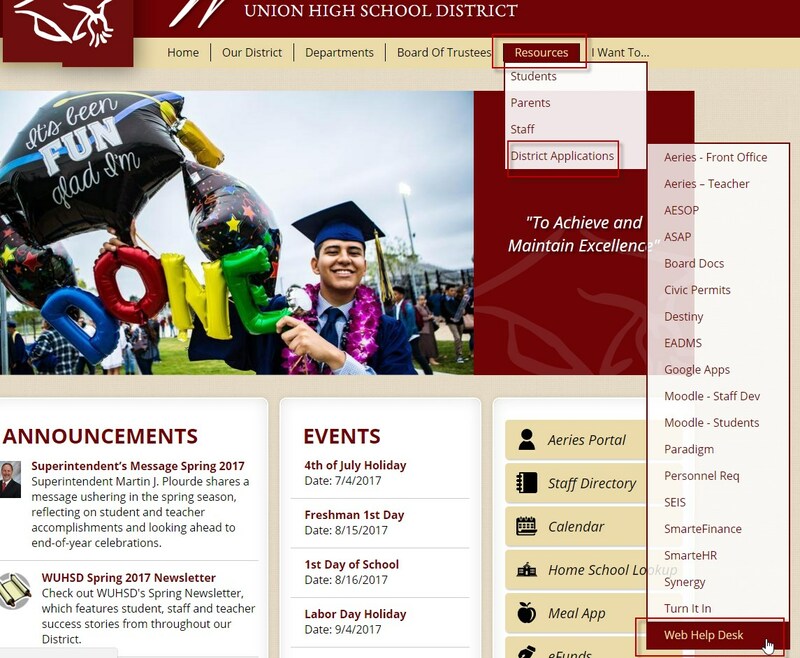 From the District website homepage, click on Resources > District Applications then select Web Help Desk from the list. Once you are at the login screen, you will use your First.Lastname and email password (the same credentials you use to login to your computer). If you cannot login using your normal username and password, please contact the IT department ASAP so that we can correct your login credentials immediately (x1120). Use the tutorial below on how to navigate through Web Help Desk, as well as submit new work orders and review existing or closed orders. Click here﻿ for a brief User Guide on how to use the Web Help Desk Work Order system. Web Help Desk keeps everyone informed at all times. Once the Work Order (WO) is submitted by the staff member, the ticket will route based on the request type category to the appropriate team. Each time the WO is routed, updated, and/or closed out, the requesting staff member is notified. Web Help Desk has also been expanded to include Maintenance & Operations work order requests. 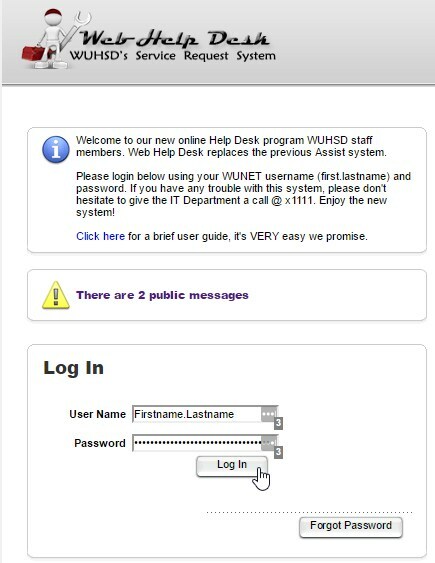 This makes Web Help Desk the one stop shop for staff members to get ANY of their potential issues corrected within classroom, offices or other WUHSD facilities.